Built as a gaming-focused display, the 24MK430H-B 23.8" 16:9 FreeSync IPS Gaming Monitor from LG features a native resolution of 1920 x 1080 with a 75 Hz refresh rate. It also features In-Plane Switching (IPS) technology, AMD FreeSync support, 8-bit support for 16.7 million colors, a 16:9 aspect ratio, an anti-glare coating with a 3H hardness rating, a typical contrast ratio of 1000:1, a typical brightness level of 250 cd/m2, and a 5 ms (GtG) response time. Using the 178° horizontal and vertical viewing angles, it is possible to watch content from virtually any position. This display has one HDMI 1.4 input, one VGA input, and a 3.5mm headphone jack. 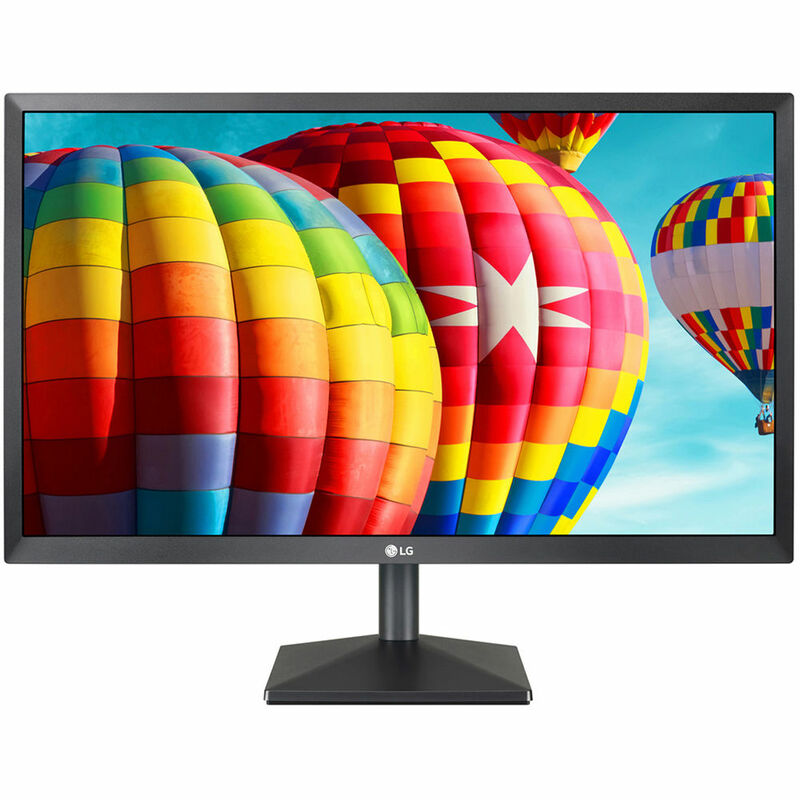 LG has engineered the 24MK430H-B with support for 72% of the CIE1931 color gamut. To further help improve viewing and accessibility, this display features a vertical tilt of -5 to 20° once mounted to the included stand base and stand body. Otherwise, you can install an optional 75mm VESA mount for wall mounting. Note: AMD FreeSync is only available when using the HDMI port. It will not work with the VGA port. AMD FreeSync technology syncs the display's refresh rate with your graphics card's frame rate output to reduce screen tearing ghosting and stuttering for a smoother gaming experience. Dynamic Action Sync minimizes input lag, so movements feel more fluid. Black Stabilizer optimizes dark scenes for better visibility, so you can spot enemies that may be waiting for you in the dark. Instead of hardware buttons, On-Screen Control lets you adjust monitor settings with your mouse, such as volume, brightness, picture mode presets, Screen Split 2.0, Dual Controller, and more.